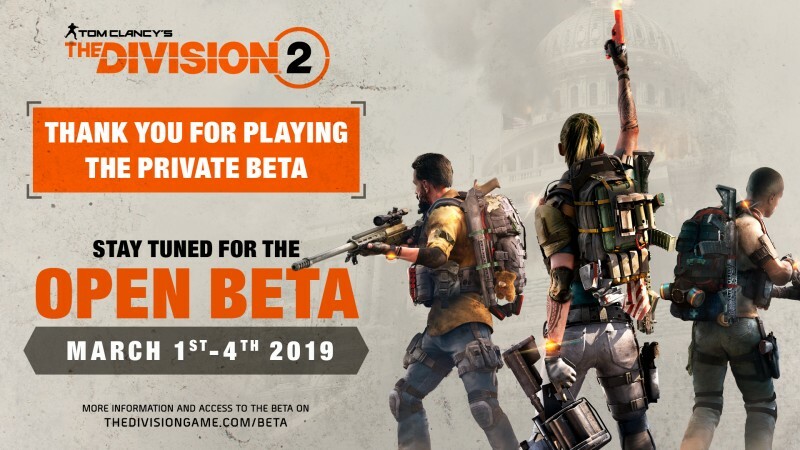 For any Division fans or anyone curious about the highly-anticipated follow-up, Ubisoft has set the dates for The Division 2’s open beta. Set aside a few days at the beginning of March, because from March 1-4 the beta will be available for anyone on PS4, Xbox One, and PC. While you wait for March you can watch us play through a chunk of the game in an episode of New Gameplay Today, see our big takeaways from the game’s open world, or see what the creative director had to say about changes to this new game. The Division 2 will launch shortly after the beta closes on March 15.